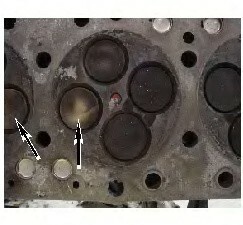 Multiple cylinders displayed outlines of the piston crown and the piston crater on the valve heads. 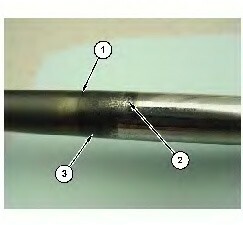 This intermittent contact indicated a valve to a piston contact. 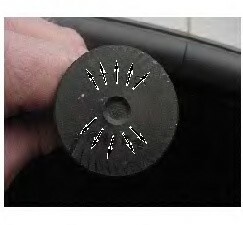 This contact can be seen in the following picture. 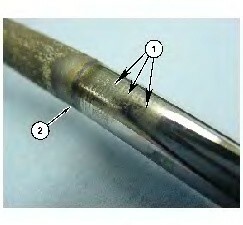 Look at the valve stems for the following items.